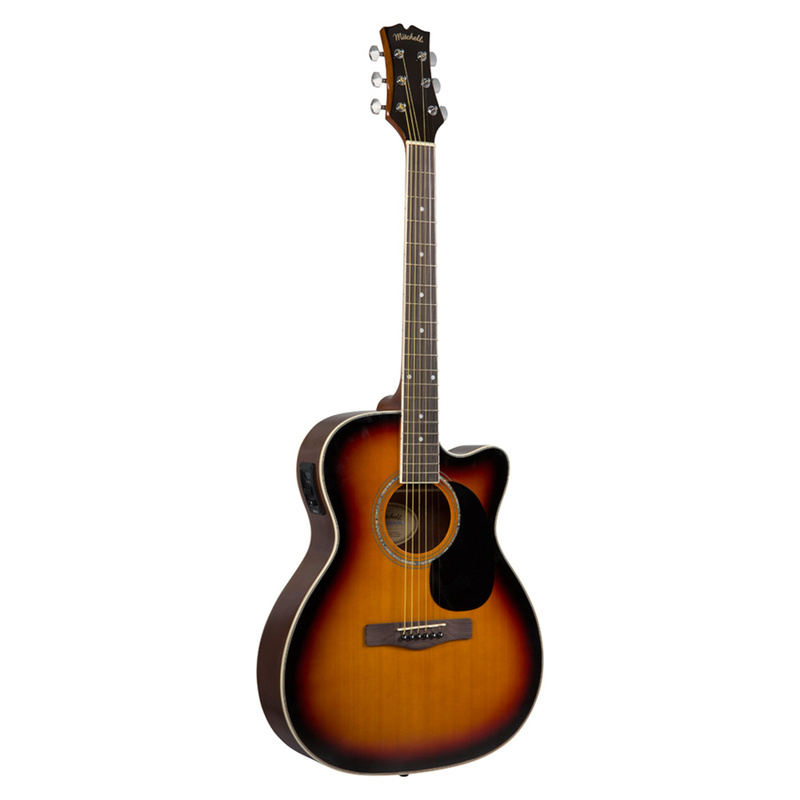 The orchestra-sized Mitchell O120CESB cutaway acoustic-electric guitar is perfect for musicians looking to expand their arsenal or for those who find larger guitars less comfortable. 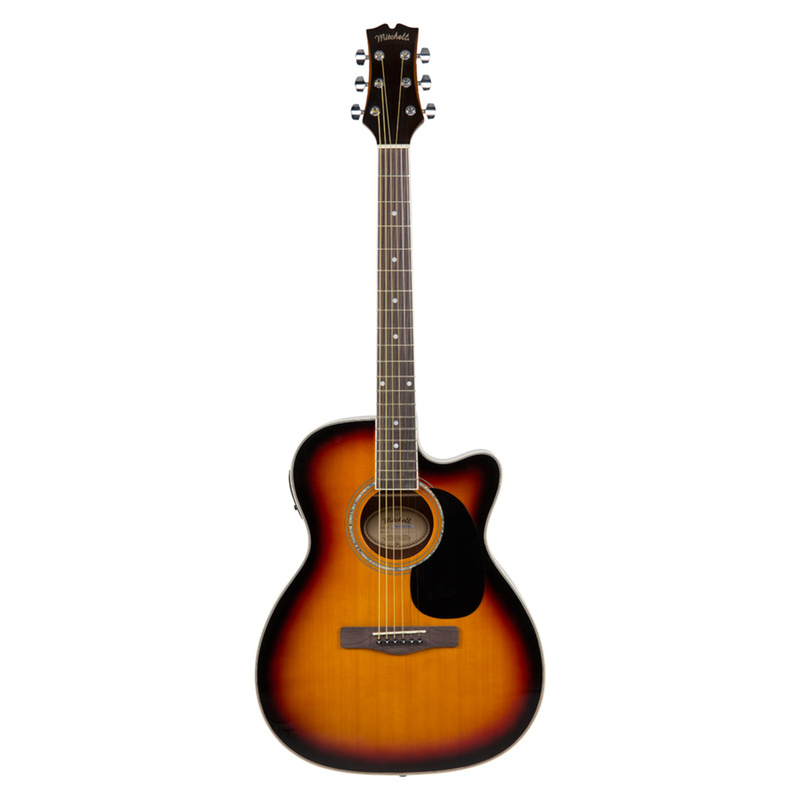 It features a select spruce top and mahogany back and sides for great tone and remarkably loud volume. 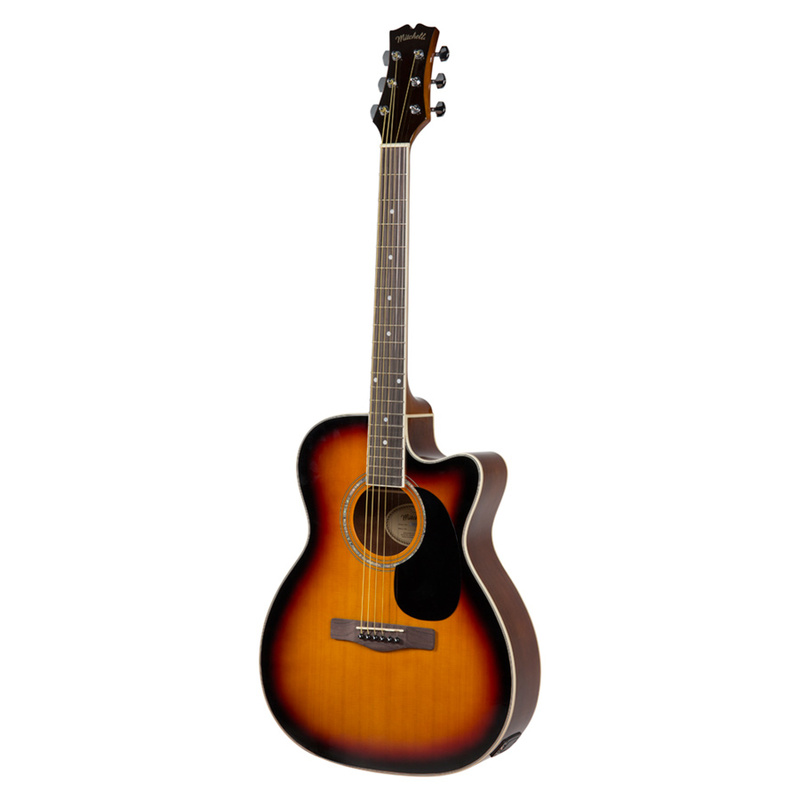 Multi-ply body binding, abalone sound hole rosette, and a high-gloss vintage sunburst finish add to its stunning good looks, giving it the classic vibe of a timeless instrument. It also features a beautifully bound fingerboard and sealed, die-cast tuners for easy and stable tuning. Plus, built-in top-grade electronics with 3-band EQ and tuner let you tailor your sound then amplify it through any instrument amplifier or PA system. 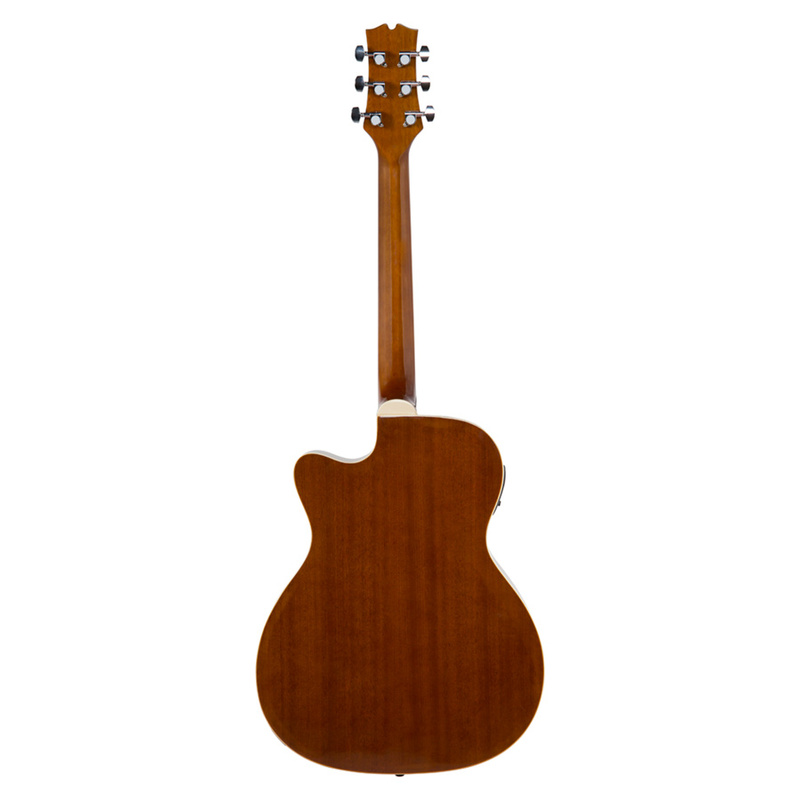 The orchestra-sized Mitchell O120CESB cutaway acoustic-electric guitar is perfect for musicians looking to expand their arsenal or for those who find larger guitars less comfortable. 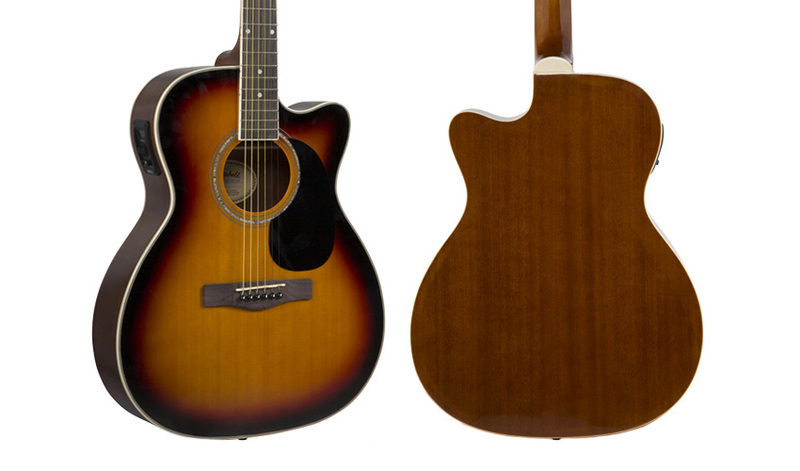 It features a select spruce top and mahogany back and sides for great tone and remarkably loud volume.